TOKYO (AP) — Grand champion Kisenosato, the only Japanese wrestler at sumo's highest rank, decided to retire Wednesday after three straight losses at the New Year Grand Sumo Tournament. Kisenosato needed a strong start to salvage his career but wasn't able to win in the first three days. 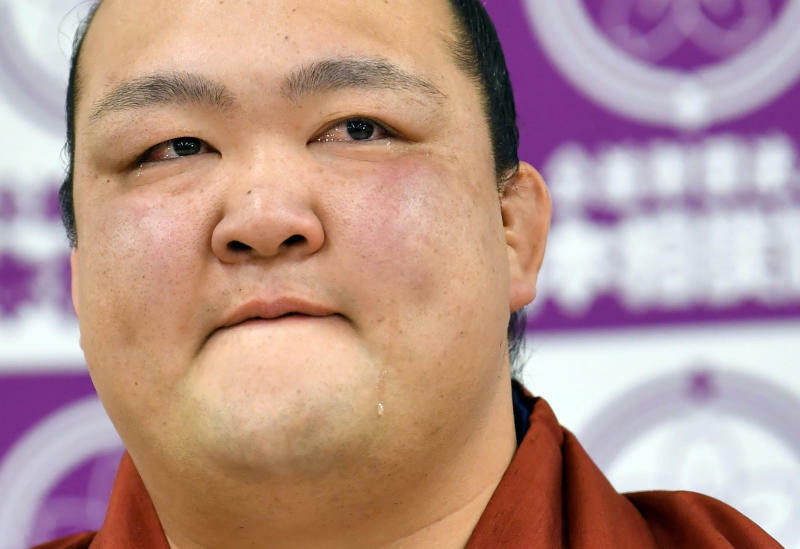 "It's very regrettable that I wasn't able to live up to everyone's expectations as a yokozuna," Kisenosato said. "But I don't regret any part of my career." The 32-year-old Kisenosato was the first Japanese-born wrestler in 19 years to gain promotion to sumo's highest rank in March 2017. He won his second straight championship in his yokozuna debut at the following tournament. But injuries prevented Kisenosato from completing a record eight straight grand sumo tournaments and he has not been able to live up to the high standards required of a grand champion. "Since recovering from injury, I was confident that I was improving. I wrestled with everything I had," Kisenosato said. "But for the first time, I felt that I was unable to go on." Sumo has been dominated by foreign-born wrestlers in the past decade with Mongolian grand champions Asashoryu and Hakuho winning a majority of tournaments. 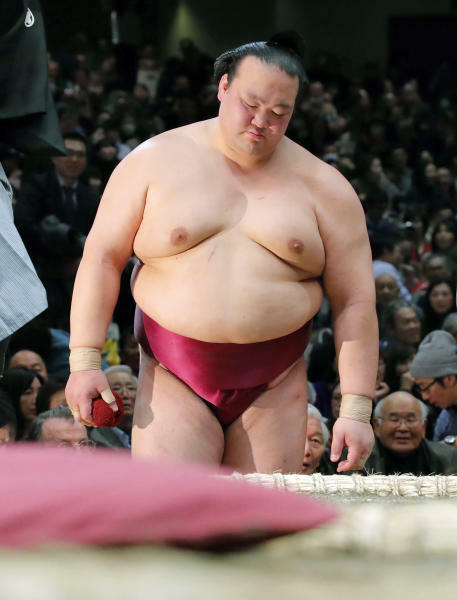 The lack of Japanese wrestlers has been a cause for concern among sumo officials and some observers suggested Kisenosato was promoted prematurely to give the sport a Japanese yokozuna. In addition to the lack of Japanese wrestlers at the top, the sport has been rocked by a series of scandals in recent years, including bullying of younger wrestlers and wrestlers gambling on professional baseball games. Last year, the Japan Sumo Association came under fire when it ordered female first responders to leave the ring as they attempted to revive a male official who collapsed at an event in northern Kyoto. The sumo ring, or dohyo, is considered sacred in the male-only sport. Women are banned from entering it because they are seen as "ritually unclean." Kisenosato made his professional sumo debut in March 2002 and joined the top division in 2004.